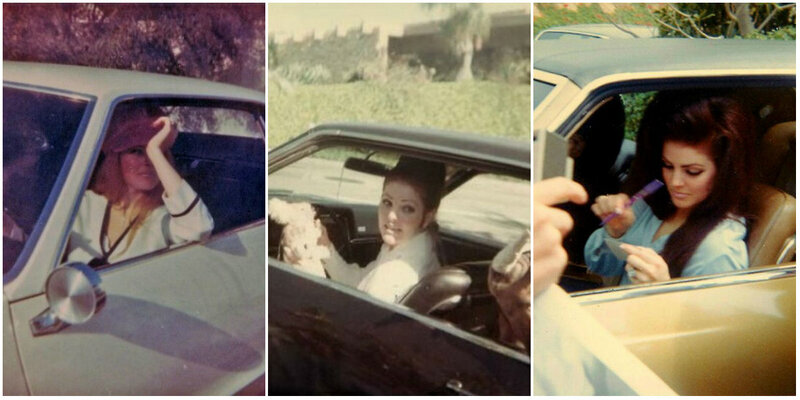 A glimpse at the life of Priscilla Presley, photographed by fans while she was behind the steering wheel of her car. How many times did Ms Presley must have her signed her autograph? Must be a mountain of paper as well! Priscilla Presley is still photographed in her car. She posed for photographs, also with fans.